A Rosewood Executive Piano Finish Desk Clock is made to impress! 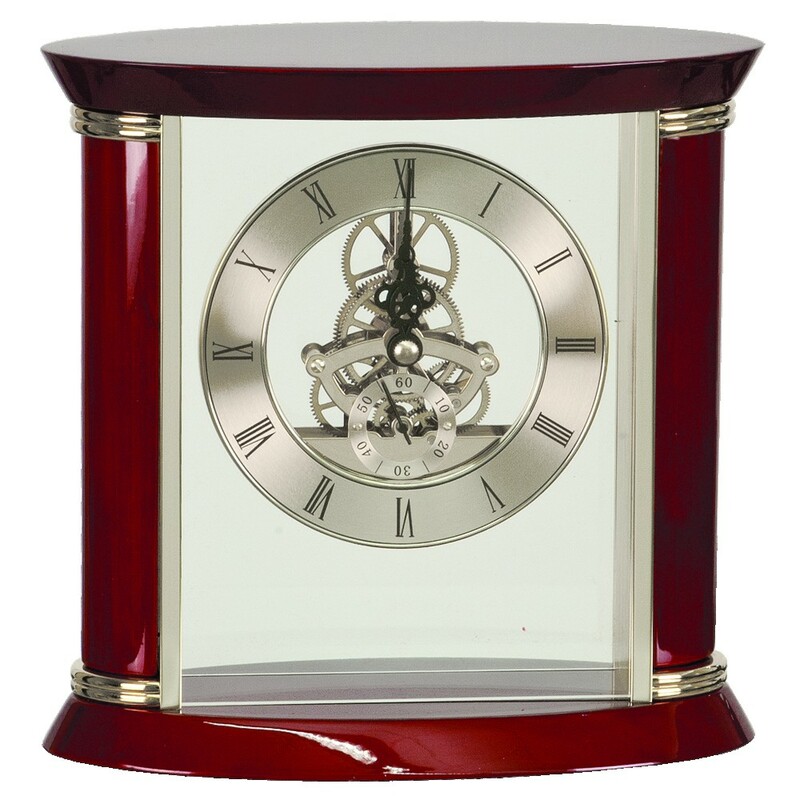 In your choice of gold or silver accents, this stunning deck clock features glass front with a 4 3/8" diameter clock face and piano finish rosewood. View the movement and gears through the glass front! It includes an engraved plate with your personalized message, which is attached to the top of the clock; AA battery, and box for gift giving. At 7 3/4 inches, this premium clock will make a large impression!